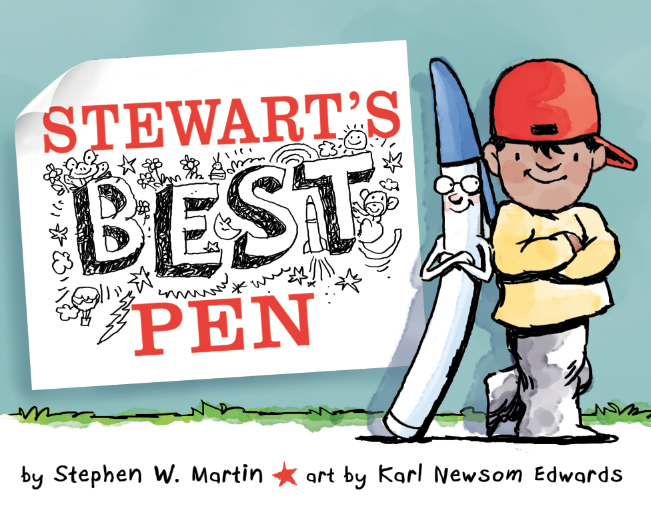 Stewart's Best Friend hits bookstores everywhere!!! I’m so excited to see this book in bookstores!! It’s about pens and pranks and friendship and a million awesome things. I hope you all love it!! Charlotte and The Rock is HERE!!!!!! Charlotte and the Rock is released into the wild!!! You can get it anywhere books are sold!!!! I started a weekly youtube video series - tune in every Monday for new tips and trick in Picture book writing. My first one is on inciting events!! I talked about this a little before but I thought i should add a video!! Charlotte and the Rock TRAILER!!!! We can finally share our book trailer for Charlotte and the Rock!!! The animation was done by the Amazing Fantastic Linh Pham!! I'm so excited to share with you my latest short film DEAD HEARTS after a 2 Year festival run with stops at over 155 film festivals worldwide, with 45 awards including those at SCREAMFEST LA, TORONTO AFTERDARK, MONSTERFEST and both The Best Live Action Short Film Award and the Best International Short Film at the St. Louis International Film Festival that has in the running for an OSCAR in 2016!! CRAZY! So many people put there heart and soul into this film so we hope you enjoy it during this Halloween Season!!! I can't help myself here's another super small sneak peak at Charlotte! I can't wait!!!! Robot Smash! arrived today from Owlkids!!! It's pretty rad to read my story within an actual 100% real book. Can't wait for you guys to see it!!! Also....Thank you Mr. Dead Tree! Without your life this would not be possible! Start your story as close to the inciting event as possible. In a picture book, with less than 32 pages, you do not have a lot of time. Yes, you do need to set up your hero/world but the quicker you can do it the better. I would shoot for one page, three pages tops. Oliver Jeffers's debut 'How to Catch a Star' - On page one we know what this boy 'WANTS' and by page two he has already begun his quest to obtain the object he desires. William Steig’s Caldecott Medal winning book (One of my all time favourites!!!) 'Sylvester and The Magic Pebble' - We get a two sentence description of our hero, his family and his favourite hobby. Then BANG! He finds the magic pebble - inciting event. A longer example comes from Master storyteller Dr. Suess and his classic ‘The Cat in the Hat.’ Here we get a super cute raining day opening that introduces the children and their boredom for about three pages then KNOCK! KNOCK! KNOCK! The cat has arrived! Finally, Moe Willems does it on page ONE of his book ‘That is Not a Good Idea’ with an incredible Splash page of the Fox and the Hen making eye contact on the street. I think some British guy said "brevity is the soul of wit.” In picture books you don’t have a lot of time; get in as late as possible. Trust me, your audience is super smart. They don’t need much for a set up, they will get it. And if you can tell them everything with a single image even better. Hole'ly Moley this book is Great!!! Written by Øyvind Torseter. It’s a story about a man who discovers a hole… I won’t say anything else because I don’t want to spoil it. Go get it now! Quickly! Stop reading this blog post … find a bookstore… go! I couldn't help it. I had to print out the ticket!!!! READ THIS BOOK OUT LOUD! Seriously this book is extremely fun to read to children, your dog, strangers on the bus... really anybody. Pick it up, you will love it!!! I love these video essays!!! Keep them coming Tony!!!! Will Laszlo overcome his fear or will he be eaten by a monster? Could go either way with Mr. Snicket. P.S. You should buy this book!!! It's fantastic!!!! 1) Establish the conflict 2) Raise the stakes 3) Raise it again only times a million 4) Your Hero succeeds or fails. ROBOT SMASH! at Chapters Indigo!!! I was in Chapters the other day waiting for my lovely wife who was shopping in Club Monaco and look what I found in the computers!!! SOOOOO EXCITED!!! I can't wait to see this on the shelf!!! Have you Pre-orded your copy yet?!?! Get to it!! SMASH! SMASH! SMASH! I love cards!! I use them in all forms of my writing! Feature Scripts = Cards, Short Films = Cards, Picture Books = lots of Cards!!!! I buy as a giant stack of them every time I go to Target, because I know I'm going to burn through so many of these on every project I work on. For me, the card is where the story starts to take shape. I start with an idea in my head, then I write down everything I can think of about that idea on these little 3' by 5' cards. And I mean everything!!! It doesn't really matter if I throw these cards out later, or if 80% of the ideas will never be used. It all has to come out of my brain first and onto these cards that way I can start to see what I have. Then and only then can I start to move some of these ideas down into a story. Kicking it old school today with 'Sylvester and the Magic Pebble' by William Steig. This is one of my all time favorite kids books. It tells the story of Sylvester the donkey who finds a magic pebble that grants wishes... I won't say anything else because you seriously need to read this if you haven't already. Caldecott Medal - check! Magic stuff - check! Awesomeness - check! ...yup it's got it all!